Mobile gaming has seen immense growth lately. The nation is yet to come out of the PUBG fever and games like Asphalt 9 or Fortnite have had our youngsters hooked to their devices. HyperX, a brand known for its reliable gaming accessories, recently came out with an earphone exclusively designed for mobile and Nintendo gamers. Kingston products are known for their reliability and the new earbuds from their HyperX brand is no exception. While it is innovative to have a dedicated gaming earpiece for mobile gaming, the signature red and black finish stays and is perhaps the only major thing that distinguishes it from other wired in-ear-audio devices available in the market. A single control button for controlling music and attending calls also doubles up as an in-line microphone. The earpiece looks sturdy and is almost tangle-free, thanks to the flat cable. The conical-shaped ear-tips fit well inside the ears. While I personally love earpieces that fit well inside your ears, these ear-tips sit comfortably and are great for long gaming sessions. However, as they are a bit looser than conventional earplugs, the ear-tips of the HyperX Earbuds struggle to conceal outside noise. The earphones come with a right-angled gold-plated 3.5mm jack that connects with all mobile devices. However, in an era where all major smartphone manufacturers are ditching the 3.5mm jack, a wireless version or a converter (3.5-to-lightning) would have come handy for people. In terms of audio output, this pair of headphones is impressive. The sound doesn't falter at all and even at high pitch, there's hardly any distortion. The mid ranges are delivered nicely and gunshots or explosions are not that thumping thanks to the contained bass of the earphones. However, one will be dissapointed with the toned-down bass, as it falters a bit while one listens to music. 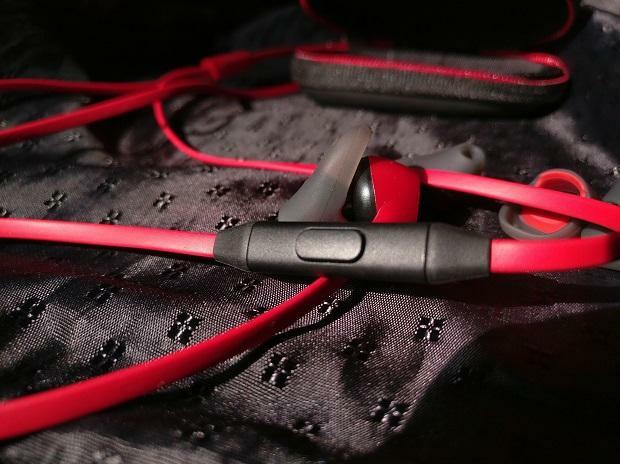 Keep in mind, though, that these earphones are primarily made for gaming and I wouldn't complain much about the bass. 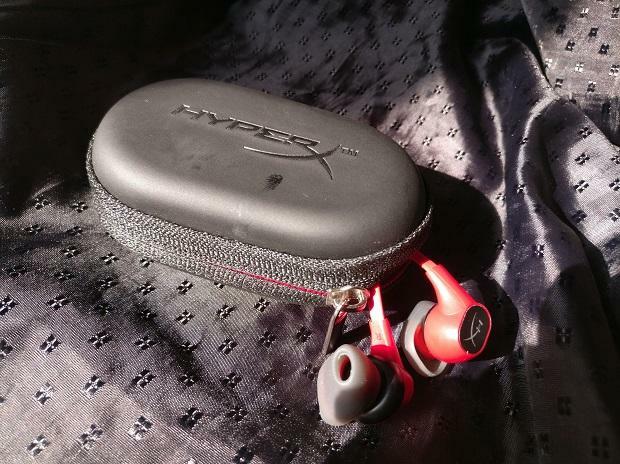 However, I absolutely loved the carrying pouch that comes along with the HyperX Cloud Earbuds as it is something great for people like me who tend to misplace their earphones. The sound signature is surprisingly balanced with great clarity. Enemy footsteps are easily audible but only if you play in a quiet environment as the lack of noise cancellation completely destroys the audio listening experience. The ear-tips don't help at all and even a whisper is audible, irrespective of whether you are playing or listening to music at full blast. I tried watching a movie in a packed metro. The outside noise was way too overpowering and I missed most of the dialogues, so I went back to my usual earbuds. However, the sound output is brilliant in a silent environment. The lack of noise cancellation is perhaps the biggest letdown of these earbuds. While the build quality and sound clarity are great, the lack of noise cancellation and thumpy bass goes against the earbuds and, in an era of wireless audio devices, a wired earpiece will attract very few. 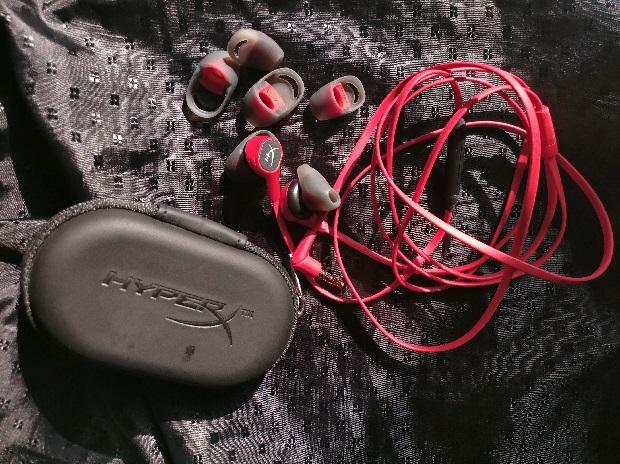 A price of Rs 5,999 also means that many will opt for earphones from regular brands but in case you want a device that belts out clarity sound with precision, you might give the HyperX cloud earbuds, a well deserve chance.